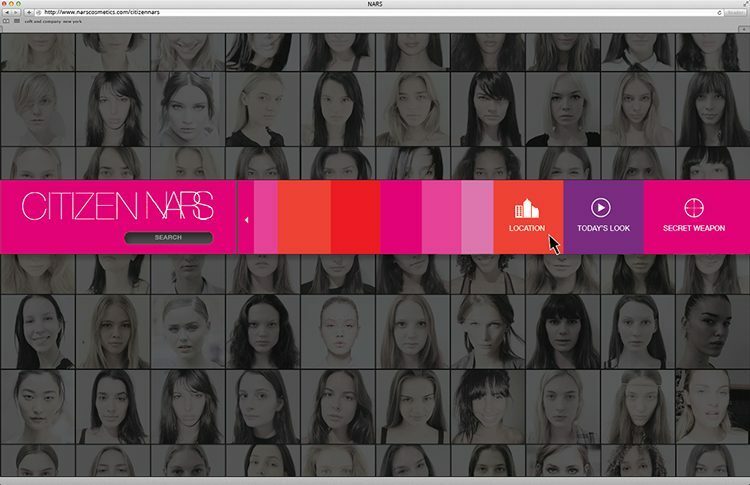 “this is a wikipedia of makeup, created by individuals around the globe, and brought to you by NARS cosmetics. what cosmetic brand would not want to own that?” – ucef hanjani, creative director of ceft and company. this is a call to all citizens of the world. 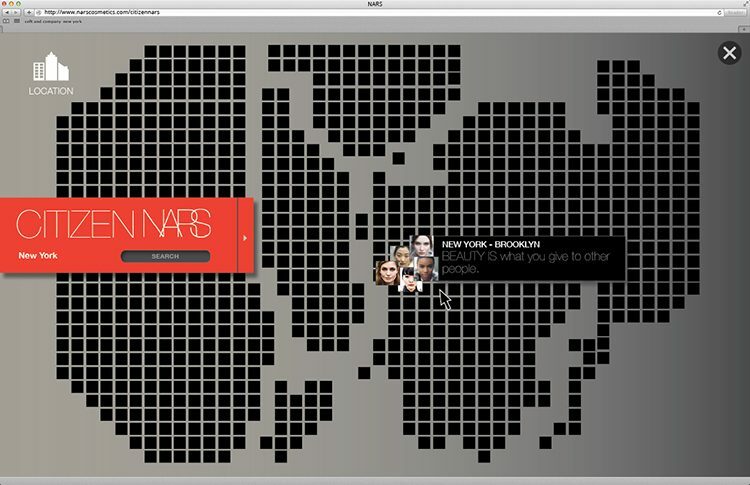 all contribution to citizen nars are submitted via instagram and picked up based on hashtag data, name and geo-location which is then fed into the site. 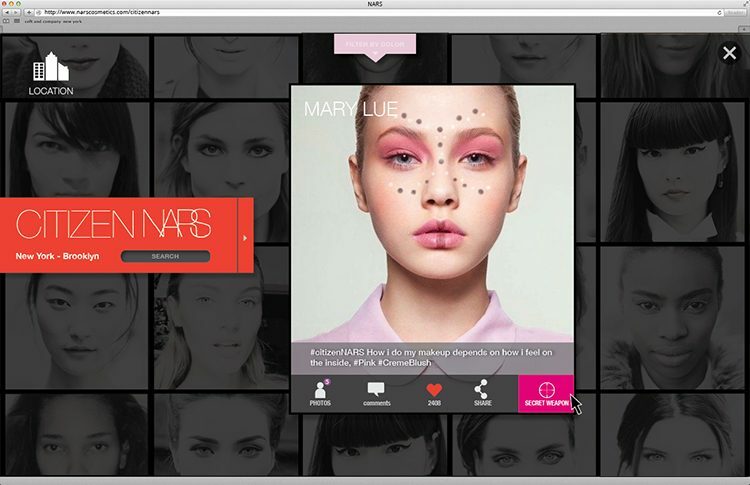 the landing page gives the user the options to filter looks by location, view beauty tips-&-tricks videos from francois nars, or view the different “secret weapons” used from NARS cosmetics. 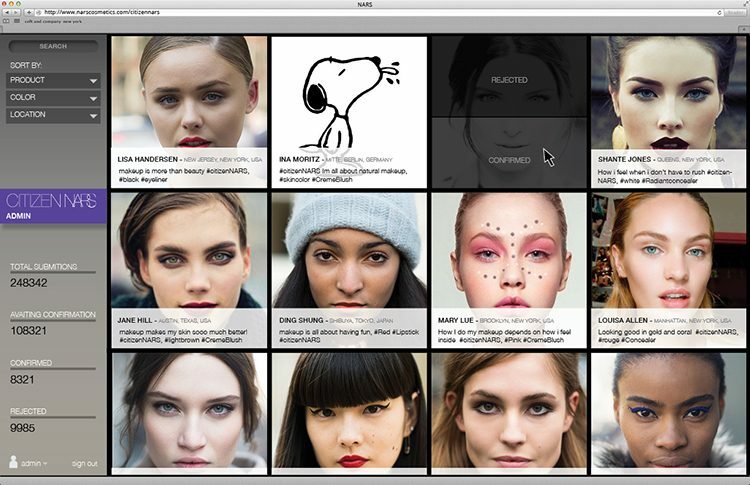 by selecting ‘location’, the user gets an overview of different makeup looks from around the world. 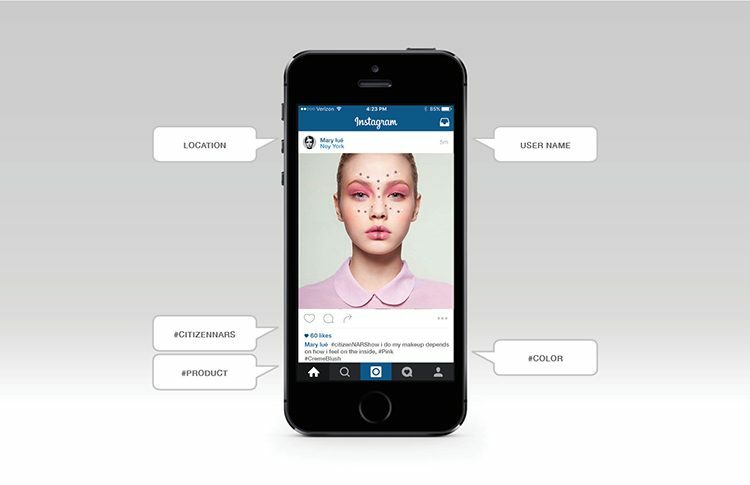 location filtering allows the user to browse different looks throughout the vicinity. the location filtering zooms in to different cities and neighborhoods. 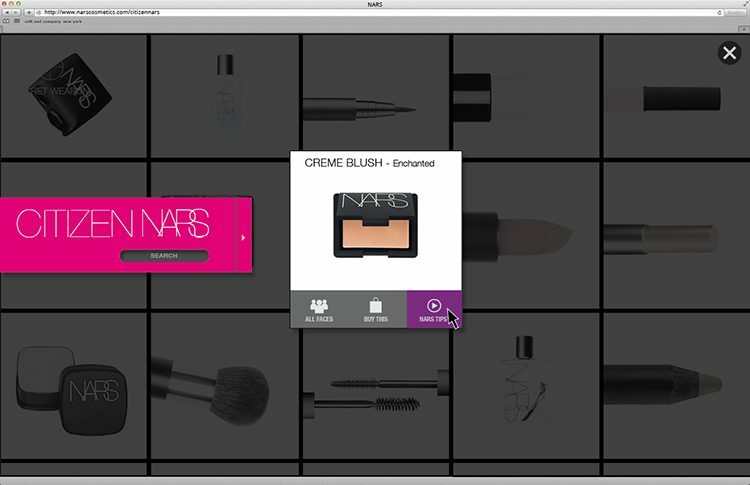 once a final location is selected, the user will see all accepted makeup contributions from that location. the user can filter all contributions based on color. when a color is selected, only images using that color are shown. hovering the cursor over and image allows the user to see a full colored version. 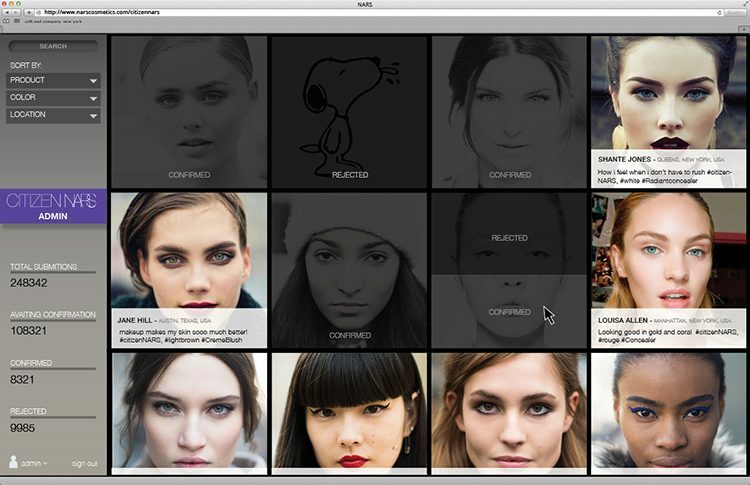 when an image is selected, a large scale preview appears together with different links to explore related topics. 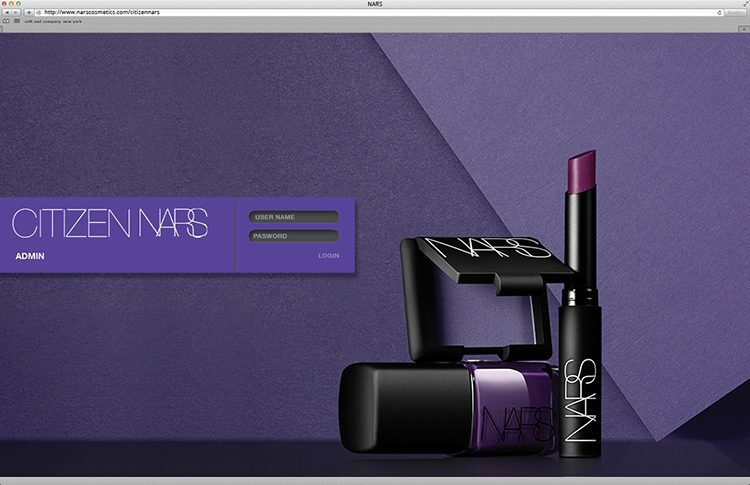 the ‘secret weapon’ page shows all products available from NARS cosmetics. when entering that page from a specific contribution, the preferred product is pre-highlighted. 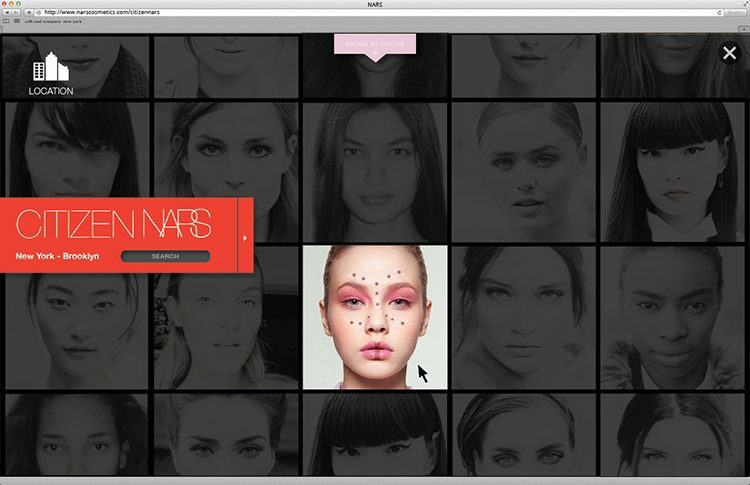 francois nars and his team give tutorials on how to use each individual NARS cosmetics product in the ‘today’s look’ page. 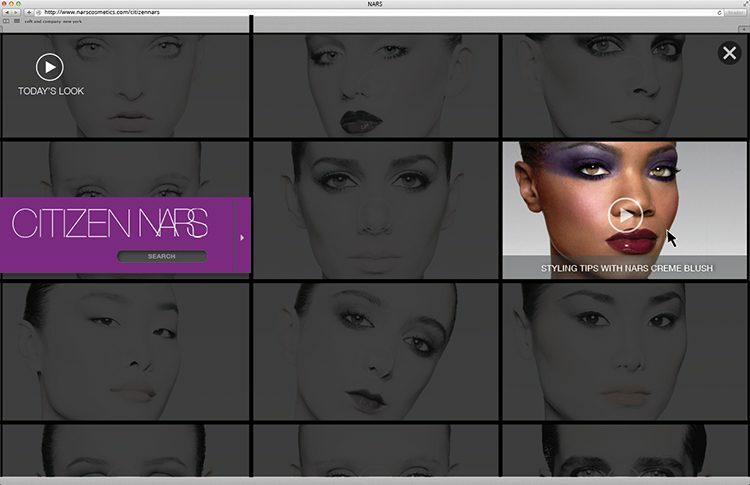 the admin login page is to monitor and approve submissions by the NARS cosmetics team. the admin back-end gives the administrator of citizen NARS the opportunity to easily confirm or reject different contribution, while all necessary info is pre-loaded from instagram tags. 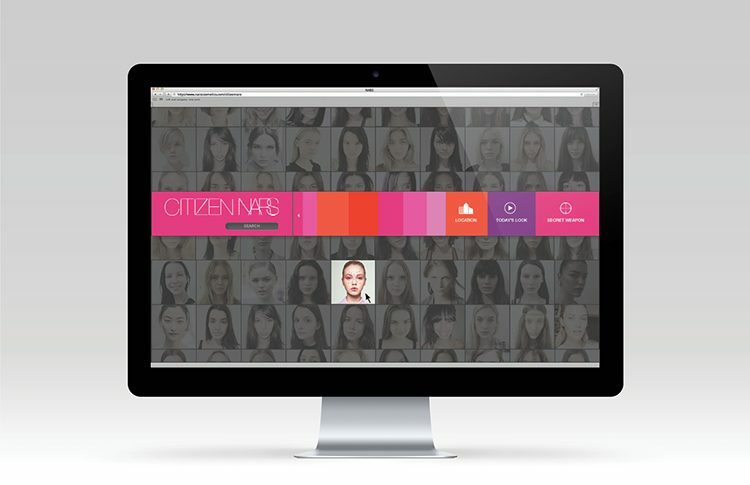 citizen NARS is a social media platform for sharing beauty looks, aimed at capturing the essence of beauty throughout the different parts of the world. 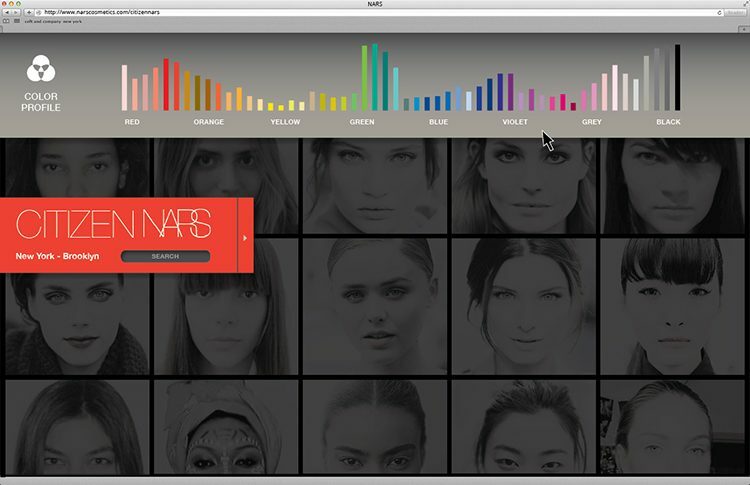 the site, citizen NARS, can be used as a library of inspiration for beauty and makeup aficionado’s, as well as people who are just looking for beauty tips from nars directly, or those around the globe who may share their love for makeup. 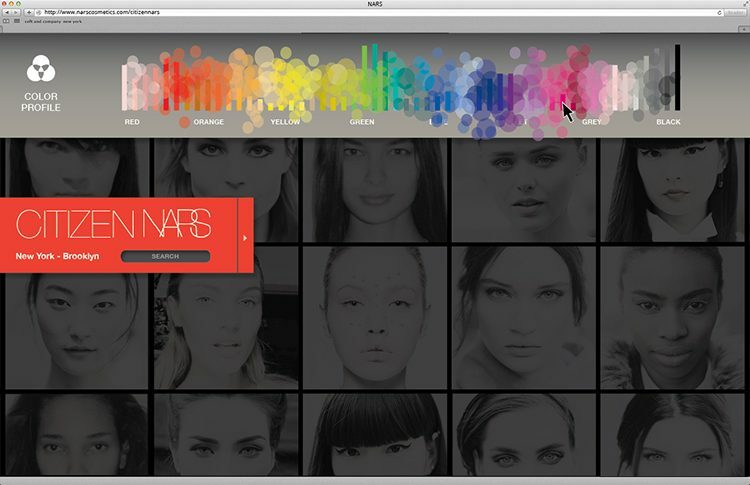 on this site, francois nars is also sharing his beauty and makeup tips, with tutorials and explanations for different key looks using the latest NARS offerings, colors and styles. 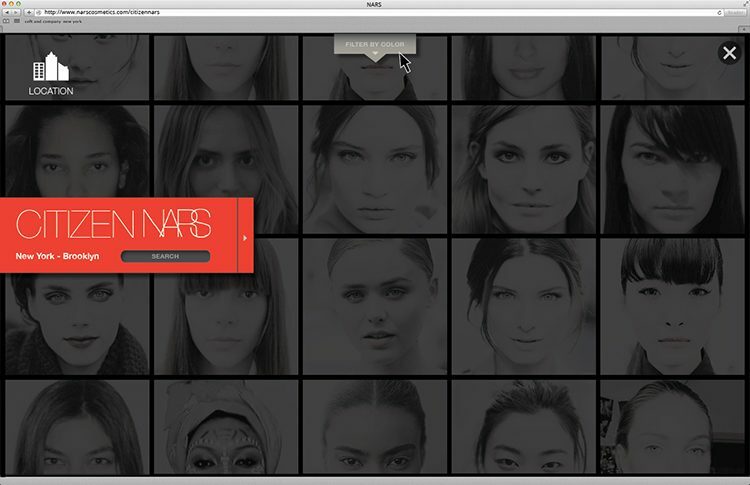 the site is intended to run indefinitely creating a ‘global wikipedia’ of makeup brought to you by NARS cosmetics. view all work related to this project.